Fitch is one of the most important credit rating agencies in the world and its predictions are one of the most important tools for foreign investors, which is why the BB- rating issued for Seychelles at the beginning of the year gives the county a huge advantage. The result was issued for the long term local and foreign-currency default ratings. According to the agency, Seychelles’ public debt continues to follow a downward path, as the government still has important bank reserves. This is also the second consecutive year in which the country keeps the rating by following the Extended Fund Facility scheme issued by the International Monetary Fund (IMF). 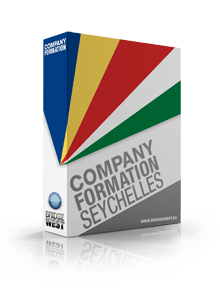 Seychelles is not only an offshore destination, and thus investors who want to open onshore companies here can rely on our company registration advisors. The surplus registered by the Seychelles budget at the end of last year surpassed the predictions of the IMF which has weighed a lot in this year’s rating. The government has enhanced the country’s external position by increasing its bank reserve and thus it has managed to repay the debts it had 10 years ago when the first reform was enabled. In 2018, Seychelles is expected to have a 1.3% surplus of the Gross Domestic Product, according to Fitch. By the end of 2019, the national debt is expected to decrease by 50% more. Foreign investors interested in setting up operations in Seychelles can choose among the two most important industries here: the financial and the touristic sectors. Our local representatives can help investors open offshore companies in Seychelles, so do not hesitate to contact us.